HIPPOLYTE LÉON DENIZARD RIVAIL (Allan Kardec) was born in Lyon, France, on October 3, 1804, in a traditional family, greatly distinguished in the legal profession and court system. He did not pursue those careers. From his youth, he was inclined toward the studies of science and philosophy. Educated in the renowned School of Pestalozzi, in Yverdun (Switzerland), he became one of that celebrated teacher’s most eminent pupils and one of the most zealous propagandists of the Educational system that exercised a great influence in the reform of the Educational system in France and in Germany. Endowed with a notable intelligence, he was drawn to teaching, due to his character and his special aptitudes. At fourteen, he had already started to teach what he had previously studied, to some of his schoolmates, who had assimilated less than he. It was at that school that the ideas originated, which would later categorize him in the class of the progressive and free-thinkers individuals of the day. Although he had been born under the influence of the Catholic religion, he was educated in a Protestant country. The acts of intolerance that he witnessed under these circumstances, led him at an early age to conceive of the idea of a religious reformation, in which he labored silently for many years with the ultimate aim of achieving the unification of the faiths. He lacked, however, the indispensable element for the solution to that immense problem. The date of the launching of The Spirit’s Book, was the foundation of Spiritism, which until then, had only counted on scattered elements, without coordination, and whose reach most people could not understand. Starting from that moment, the doctrine attracted the attention of the serious-minded people and took a rapid development. In few years, those ideas overtook numerous followers in all social circles around the world. That unprecedented success took hold, without a doubt, due to the sympathy that such ideas inspired; but, it is also largely due to the clarity with which they were presented, which is one of the characteristics of Allan Kardec’s works. Spiritism came to light, at this time, to imprint in his mind the particular direction for future undertakings. As soon as he completed his studies, he returned to France. Being thoroughly knowledgeable in the German language, he translated into German a variety of works on education and on morals and, what is uniquely characteristic of him, the works of Fénelon that had seduced him in an intriguing way. He was a member of several societies, one of which the Royal Academy of Arras that, in the competition of 1831, awarded him notable recognition on the following subject: Which is a system of study more harmonious with the needs of the time? From 1835 to 1840, he established, in his home, at Sèvres street, free study courses on Chemistry, Physics, Anatomy, Astronomy, etc., an accomplishment worthy of commendation at any time, but, above all, at this time in which only a few illuminated minds dared to follow that path. Always concerned with making the educational system more appealing and interesting, he invented the ingenious method of teaching to count and a mnemonic picture of the History of France, with the objective of fixating in the memory, the dates of major events and discoveries that illuminated each reign. Among his numerous works to foster education, we will mention the following: Proposed Plan for the improvement of Public Instruction (1828); A practical and theoretical study of Arithmetic, according to the methods of Pestalozzi, for the use of teachers and mothers (1824); Classic French Grammar (1831); A Manual of the Examination for the titles of capacity; Rational solutions to the subjects and problems in Arithmetic and in Geometry (1846); Grammatical Catechism of the French Language (1848); Program for the regular courses of Chemistry, Physics, Astronomy, Physiology, which he taught in Lyceum Polimatique; Normal dictations of the examinations of the Municipality and of Sorbonne, followed by Special Dictations regarding Orthographic Difficulties (1849), an accomplishment highly regarded at the time of its launching and from which new editions are still been published today. 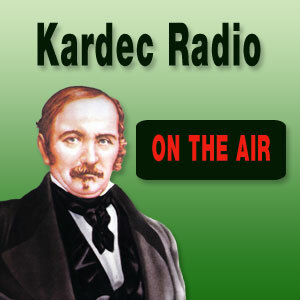 It can be seen that even before Spiritism had become popularized Allan Kardec through his Celtic pseudonym, had already become well known, through the varied nature of his accomplishments in the educational system. His works always had the objective of illuminating the masses and of uniting them better to their respective families and countries. About the year 1855, the spotlight focused on the subject of the manifestations of the Spirits, and Allan Kardec became dedicated to persevering on the observations of that phenomenon, and cogitating mainly in deducing its philosophical consequences. He could see, at once, that these phenomena were the beginning of new natural laws: the ones that govern the relationships between the visible and the invisible world. He recognized, in the action of the invisible world, one of the forces of Nature, whose knowledge would throw light on the immense problems that until then had been considered insoluble, and he understood its reach, under the religious point of view. His main works written on this subject are: The Spirit’s Book, concerning the philosophical part of the doctrine, and whose first edition appeared on April 18th, 1857; The Mediums’ Book, concerning the experimental and scientific aspect (January of 1861); The Gospel according to Spiritism, concerning moral and ethics (April of 1864); Heaven and Hell, or The Justice of God according to Spiritism (August of 1865); Genesis, the Miracles and Predictions According to Spiritism (January of 1868); Revue Spirite, a monthly newspaper of psychological studies, that had begun on January 1st, 1858. 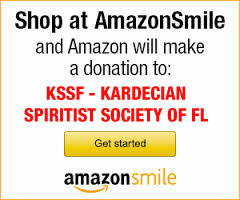 On April 1st, 1858 he founded the first Spiritist Society regularly constituted, under the denomination of “Parisian Society of Spiritist Studies,” whose deliberate objective was the study of whatever could contribute toward the fostering of this new science. Allan Kardec defended himself with total foundation, for having written something under the influence of preconceived or systematic ideas. As an individual with a cool calm nature, he observed the facts and from his observations deduced the laws that govern them. He was the first one to present the theory regarding such facts and to organize them into a doctrinal body, methodical and regular. He demonstrated that the facts, which previously had erroneously been considered supernatural, were actually subject to the universal laws. He classified them under the phenomena of Nature, thereby eliminating the last refuge of the wonder and one of the elements of superstition. During the first years of the introduction of the spiritist phenomena, they were considered more an object of curiosity than of serious meditation. The Spirit’s Book caused the subject to be considered under a totally different aspect. The turning tables that had merely been a prelude were discarded, and people started to pay greater attention to the doctrine, that embraces all the subjects of interest for Humanity. Avoiding the abstract formulas of Metaphysics, he knew how to attract everyone’s to read about it without becoming tiresome, which was an essential condition to the dissemination of the idea. On all of the controversial points, his argument, of pure logic, does not leave room for dispute and it predisposes the conviction. The material proof that Spiritism presents of the existence of the soul and of a future life tends to destroy the materialistic and pantheistic ideas. One of the most fertile principles of that doctrine is the plurality of the existences, already foreseen by a group of ancient and modern philosophers, and, during these last times, by João Reynaud, Carlos Fourier, Eugênio Sue and others. The plurality of existences, however, had been maintained in a state of hypothesis and of system, while Spiritism had demonstrated the reality and the proofs that in this principle, one of Humanity’s essential attributes resides. From the plurality of existences derived the explanation of all the apparent anomalies of human life, of all the intellectual, moral and social inequalities, allowing man to know whence he comes, where he is capable of going, why he is upon the earth, why he suffers temporarily, and can see, above all, the justice of God. The innate ideas displayed in a present incarnation are explained by the knowledge previously acquired in prior lifetimes; also, the action of men of ancient times that are relived once again explains the progress of the individual and of Humanity; the sympathies and dislikes are naturally going to be a result of the experiences and the nature of relationships from previous incarnations. Those relationships, that reunite the great human family of all times, suggests as a base, the advanced principles of fraternity, of equality, of freedom and of universal solidarity, which are the very laws of Nature and not mere theory. Instead of the postulate: “Without the Church there is no Salvation, which fosters separation and animosity between the different religious sects that have been responsible for so much bloodshed, Spiritism has as its emblem: Without Charity there is no Salvation, which enhances equality among men, tolerance, freedom of conscience and mutual benevolence in the eyes of God. Instead of blind faith, which annuls free thinking, Spiritism says: Unshakable faith is only that which can meet reason face to face in every human epoch. In order to have faith a base is necessary; and, this base is the perfect intelligence of that which one believes. To be a believer is not enough; above all, it is imperative to comprehend. Blind faith is no longer a part of this century. It is in fact due to the dogma of blind faith that today we still have, such a great number of non-believers; as it tries to impose itself by annulling one of man’s most precious abilities, that of reasoning, and of free-will. A tireless worker, always the first to take on a task and the last one to leave it, Allan Kardec succumbed on March 31st, 1869. He was about to reduce his activities and to move to another place, due to the considerable extension of his multiple occupations. Several works which were about finished, or that were awaiting the opportunity to come to light, will one day demonstrate the extensive power of his concepts. His body became numb and could no longer perform the services intended by his Spirit, while his spirit remained, more and more active, more energetic, fertile, forever enlarging the circle of its activity. In such an unequal fight, his physical body could not subsist eternally. An aneurism ended his life and Allan Kardec died instantaneously. That left one less individual on Earth; but, a great name took his place among those that had illuminated this century; a great Spirit had departed for the Infinite, where all of those souls who he had consoled and illuminated, were waiting impatiently for his return! Death, I was saying not too long ago, redoubled its blows in the illustrious arrays! Whom will it now come to set free? He went, as so many others, to recover in Space, to seek new elements for the recuperation of his worn-out organism due to a life of incessant labors. He departed to be among those who would be the luminaries of the new generation, to return shortly thereafter with them to pursue and to conclude the task that he had left in dedicated hands. The individual is no longer here; but his soul, will remain with us forever. He will be a strong protector, an extra light, a tireless worker that the phalanges of Space have incorporated. As on Earth, without interfering with anyone, he will expound his opportune advices; he will lessen the premature zeal of the ardent ones; he will aid the sincere and the disinterested ones, and will stimulate the indecisive ones. He now clearly sees everything that he had foreseen! He is no longer subject to the uncertainties, nor to the frailties and he will share his convictions making us reach the goal with his finger, pointing the way for us, in that clear and precise language, that had consecrated him among the literary annals. The man no longer exists, we said it; however, Allan Kardec is immortal and his memory, his works, and his Spirit will always be with those who stand strong and vigorously wave the flag that he always respected. An extraordinary individuality set up the task. He was the guide and the secure port for everyone. On Earth, the work will outlive the worker. The believers won’t congregate around Allan Kardec; but rather, they will congregate around Spiritism, just as he had structured it, and with his advice and his influence, we will move forward, with firm steps, to the blissful phase promised to a regenerated Humanity.